After 13 years and five films which have between them grossed US$4.9 billion internationally, we have reached the final instalment in Peter Jackson’s adventures in Middle Earth, The Hobbit: The Battle of the Five Armies. There is no time for a “previously on The Hobbit” recap as this final instalment gets straight into the action, picking up directly from the moment that The Desolation of Smaug ended, with Laketown under attack from the awakened dragon. 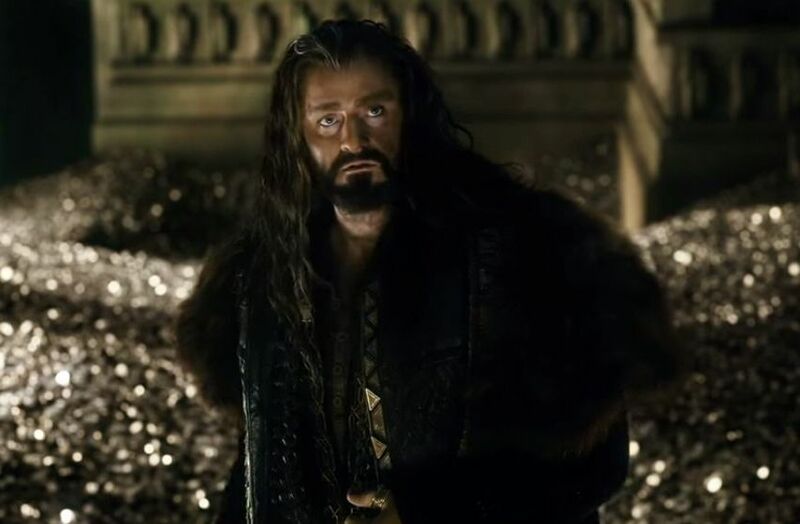 While some ingenuity from Bard the Bowman brings the downfall of Smaug, Thorin and his companions hole up in the halls of Erebor, fortifying the entries to protect their gold. But the news of Smaug’s death spreads quickly and with Erebor and its stores of gold no longer under the dragon’s protection it is up for grabs. So armies of dwarves, elves, men and orcs – with a fifth to come later – arrive on the scene to stake their claim on the mountain and its treasure. The travelling company reached their destination towards the end of The Desolation of Smaug, so where the first two instalments were journey films The Battle of the Five Armies has a different feel to it. It is a war movie. 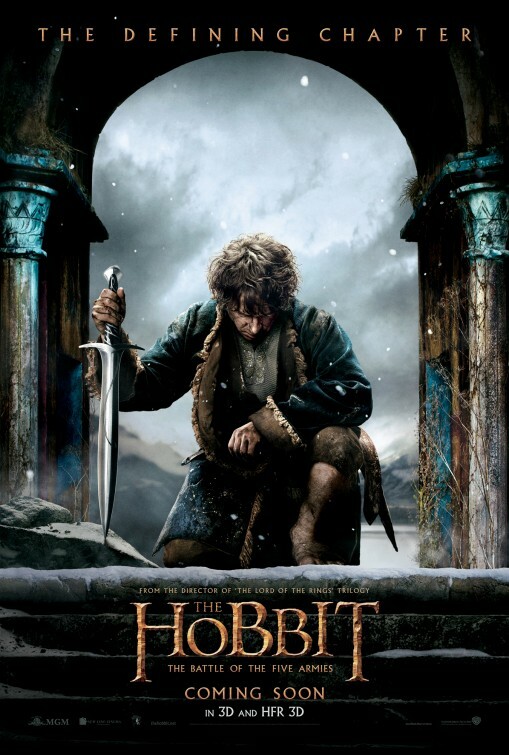 Smaug (who remains the crowning achievement of the film’s CGI team) is defeated in the first fifteen minutes of this film and the rest of its runtime is devoted to preparations for battle and the battle itself. As such, we see a shift in the prominence of different characters. Those interchangeable dwarves thankfully take a backseat in this film, with the spotlight more focussed on those characters who can fight: Bard, Fili and Kili, the elven trio of Tauriel, Legolas and Thranduil. The battle itself commences at about the 70 minute mark and accounts for the majority of the second half of the film. At 144 minutes, The Battle of the Five Armies is the shortest of all the Middle Earth films by quite some margin. And importantly, given how long the first two Hobbit films felt, it moves quite quickly. It doesn’t feel like a two and a half hour movie. This action heavy film really is all go, to the point that some elements even feel a bit rushed. That said, with the battle taking an hour of screen time as we cut back and forth between different skirmishes and characters, battle fatigue will become an issue for some viewers. The Battle of the Five Armies also doesn’t make the same errors that the final instalment of the Lord of the Rings trilogy did in dragging out its ending. The Battle of the Five Armies will again be released in High Frame Rate 3D – the film is recorded and projected at 48 rather than 24 frames-per-second – and it is still a terrible way to see a film. The peculiar high-definition movement looks like a cross between a computer game and digital video and is very unforgiving on costumes and makeup. When Jackson first decided to venture back into Middle Earth for The Hobbit the original plan was to divide it into two films, and with the benefit of hindsight you can’t help but feel that would have been the right call. However, while some will see it as a cynical money grab, in the wash-up I’m more inclined to see this undeniably flawed trilogy as the work of a devoted fan who was so enamoured with the material and the world that he had helped create that his desire to spend as much time as possible there perhaps clouded some of his better judgement. Have you seen The Hobbit: The Battle of the Five Armies? Leave a comment and let us know what you thought.